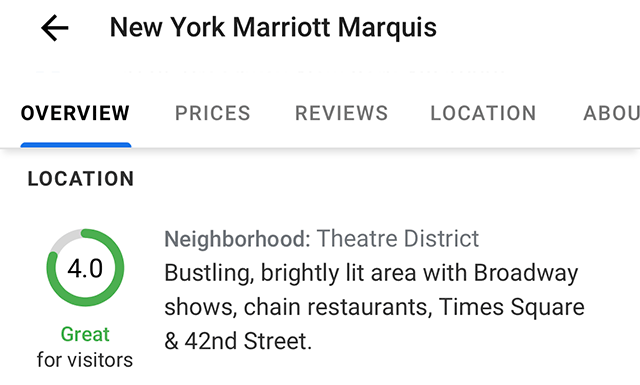 A few weeks ago, we reported that Google was testing a new location tab that contained not just location information about the hotel but also how well it scored based on its location. Well, it seems to be fully live now. 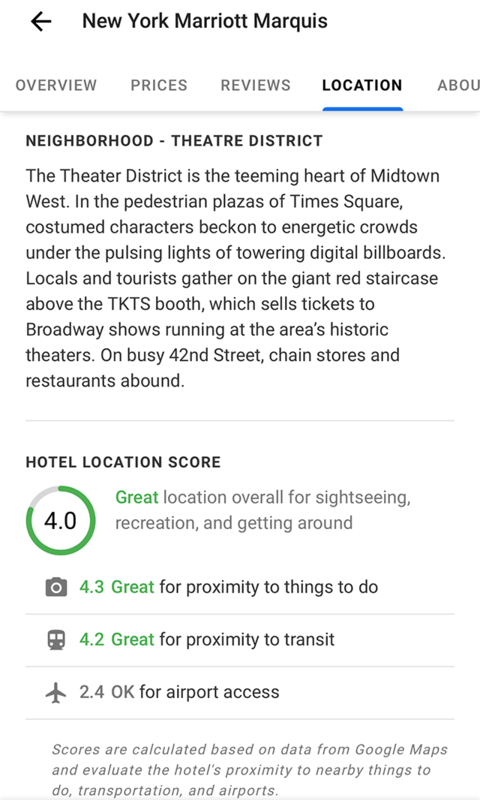 All you need to do is search for hotels - not a specific hotel name, but a generic hotel search such as [hotels nyc] on mobile and click on any result to see the new location score and tab. Sergey Alakov first spotted this test and it going live and posted about it on Twitter. The confusion is how to trigger this to see the location score and for some reason, if you search for a specific hotel - such as [trump nyc hotel] - the location score will not come up. You need to use a more generic search for the location score to show in the hotel card.